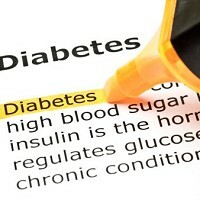 Many people with diabetes are not taking sufficient steps to control their cholesterol levels, research has suggested. Diabetes UK's national diabetes audit found around 90% of people with diabetes are having annual checks on their cholesterol but that many are doing little to address the issue. The charity warned this means people are putting themselves at increased risk of heart disease by not controlling cholesterol. The call comes at a time when many Brits will be heading for a post-Games break in the sun. Travelling with a pre-existing medical condition, though, can be challenging, and people with diabetes should arrange pre-existing medical travel insurance before jetting off to foreign climes. The majority of the 3.7 million Britons with diabetes have type 2 diabetes, where the body either manufactures too little insulin or produces poor quality insulin. People with diabetes can use a range of drugs known as statins to lower their cholesterol levels, according to the charity. Diabetes UK chief executive Barbara Young added: "It is not clear why the high number of people having their annual cholesterol check is not translating into better cholesterol control, but it is an issue that is putting the health of hundreds of thousands of people at risk."